This week I have been preparing for my two weeks at Teachers College Writing and Reading Institutes for the third year in a row, a true honor and privilege to be so fortunate to be accepted when thousands apply! What does my preparation look like? And of course the never ending packing! Which students really need the structure and support of guided reading? Which students need more practice reading? Are your students over taught and under practiced? At what grade do you end guided reading for most students and move on to other structures with more student ownership? are both phrases that are circling my brain . . . If my goal is “evidence of students reading and applying skills and knowledge as they read”, how do I support that? What should my teaching look like? 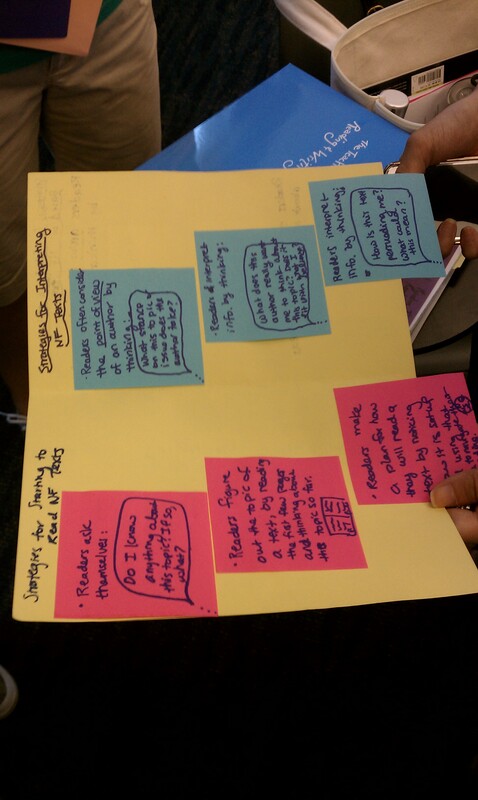 What should student work look like? 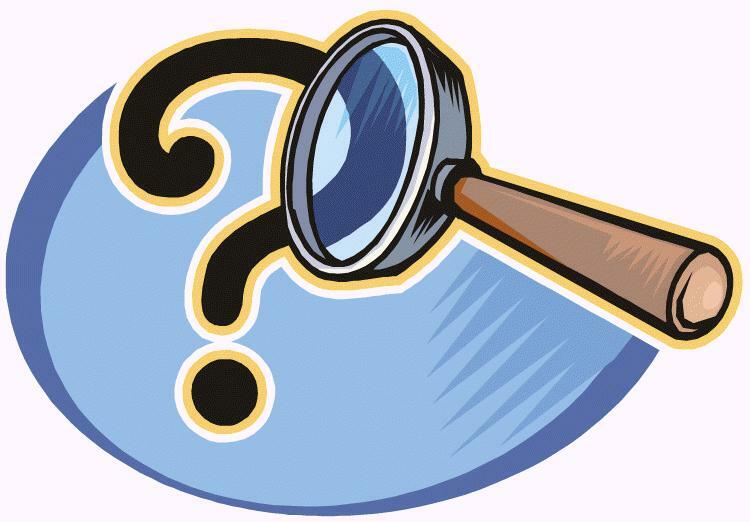 What big questions are your current puzzles? What does your “learning preparation” look like when you are the “learner”? What else should/ could I be doing for my own learning prep? Last Thursday, Brooke Geller read this book to us to close out our small group reading workshop session. It was powerful, it was moving, and it was a perfect ending to our week together. 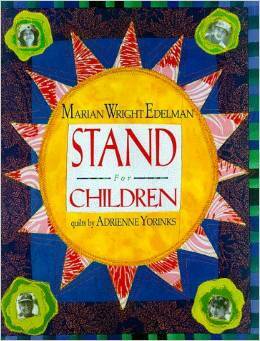 This book was written after Marian Edelman’s June 1, 1996 Washington, DC, speech about the importance of putting children first. 300,000 attended that rally 18 years ago. Do you stand for children? What would evidence of your stand look like? He continues on and tells us in the next caption, “We Can’t Wait for Advocates, We Need to BE Advocates!” (It’s not too late, you can still go back and read it!) Use his “small steps” to get started! Your voice is needed! Stand for children! Don’t wait for someone else! We displayed our learning in charts, brochures, flyers, and even blogs so class members could walk around and see evidence of learning. It’s fascinating to see our learning displayed in so many ways. We met in grade level groups and discussed issues, questions, and/or concerns. See notes below. Brooke read aloud from Stand for Children by Marion Wright Edelman and then we each stood and said who we were standing for. Grade 7: Using some tips from Tracy Fell including personalizing student notebooks, writing at personal reader’s history and publishing it the first week of school. Brooke shared this possible schedule for 7th grade. Under this schedule Mondays and Wednesday will be component days and will include some vocabulary work. This particular group of teachers will also have “Great Works” studies three times a year for 3 week units where they will do a whole class book. 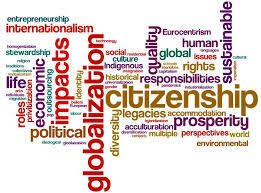 Grade 6: Because there is a focus on world cultures, they were looking for additional texts. Home of the Brave, Long Walk to Water, Your Move by Eve Bunting, and Inside Out and Back Again were all mentioned! They also talked about how characters change across series like Harry Potter – book ladders available on the #tcrwp website and this document was shared by Sandy Brumbaum. Grade 4: They talked about access to notes from other grades, Goodbye 382 Shin Dang Dong for social issues, The Can Man, A Room of My Own, and Those Shoes, and Getting Through Thursday. Brooke reminded us of the videos that show students talking about books like Bud not Buddy, My Name is Isabelle and Night (MS) and that it is helpful to let the students see the videos so they have a picture of their goal. However, that video will NOT take the place of a mini-lesson. Notice the tone. How would you describe it? List the different ways the teacher engages the students? What methods of teaching are used? What scaffold or supports are used to maximize learning for all? What skills are children being prompted to use? What level of questioning is being used? What evidence of accountable talk do you see? 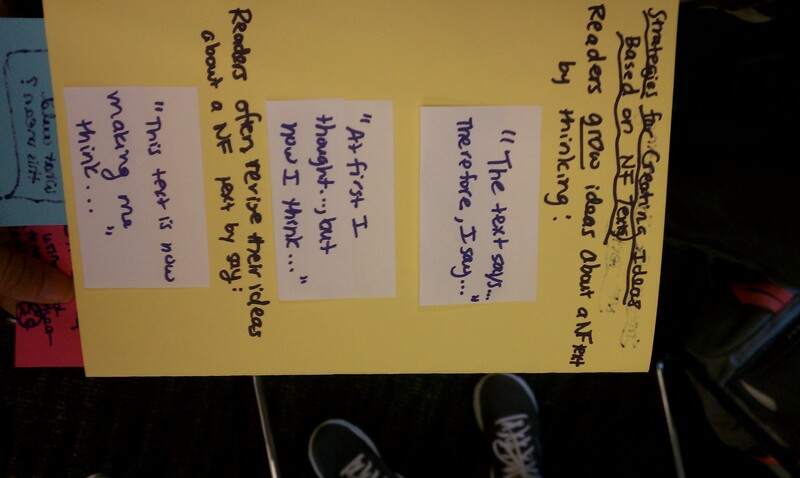 Is the teacher able to assess students understanding of the content during the read aloud? How might assessment follow this read aloud? These questions provided a variety of lenses to process the demonstration! 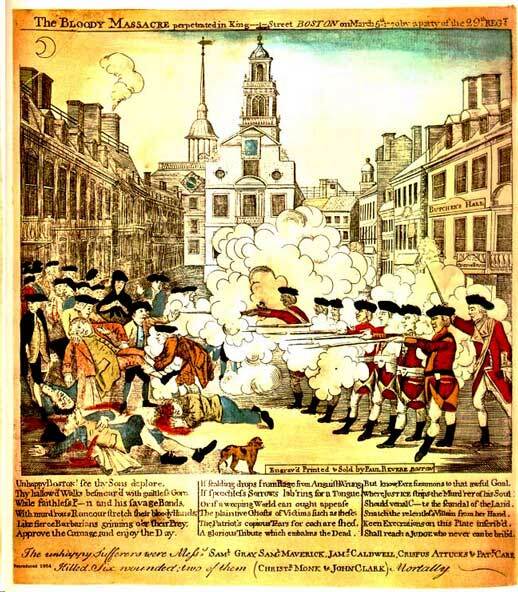 Who benefits from Paul Revere’s image? Who was the image created for? And how does it affect that person in that time period? Why did Paul Revere tell the story this way? Then we layered in “The Bloody Work of King Street” by Paul Revere. A great ending to our work with Social Studies Centers but just the beginning to our curiosity about all those old pictures of The Boston Tea Party and ALL of those old stories. Kathleen’s wisdom: Probably 30% of what you believe is actually true! We want our students to read something and then put it up against facts. They need to be able to judge misinformation. Thigh gap, unattainable body mechanics, compared to NCLB! So very funny! Such a good way to end the week. Kathy left us with a note of hope as she read the book, The Little Brute Family. How can I improve my post-it? In Social Studies Centers with Kathleen Tolan, we began by discussing our Big Edeas within our group. We posted them on the wall and then returned to our Drumroll (see Day 1 for the write around charts). While circulating the room, and visiting the write arounds, we were trying to match up our “Big Ideas” with the actual pictures from the write arounds. This meant constant reading and re-reading. It also required trust and messiness. There wasn’t a clear cut 1:1 match. Kathleen reminded us that materials and intellect can challenge each other. We didn’t have “lectures” on “big ideas” and maybe kids don’t need those either. Revision of Big Ideas can come from the work. Some resources lead to bigger ideas! Access to knowledge is empowering. Gender determines the future of a colonist. Slaves were traded as resources. Colonial boundaries changed over time. Not all Big Ideas matched up to the pictures but the more times that we, as students, revisit both the Drumroll and the Big Ideas, the more that we will revise our Big Ideas and increase both our personal and group learning. Not matching a picture was not wrong. However this “re-focusing” on Big Ideas gave us a bit more structure to think about as we began our second round of center work. We had a page with four quotes for a whole class activity. When working with quotes, Kathleen said people and dates matter so we googled dates for the quotes that were missing dates so we could think about”time” implications as we worked on common themes between the quotes. After discussing a quote in our group, we then did a quick write about what the quote meant. Kathleen shared a fourth grade student response that was much better than mine due to the figurative language and the comparisons for freedom for slaves that was not a result of “liberty” from the British. 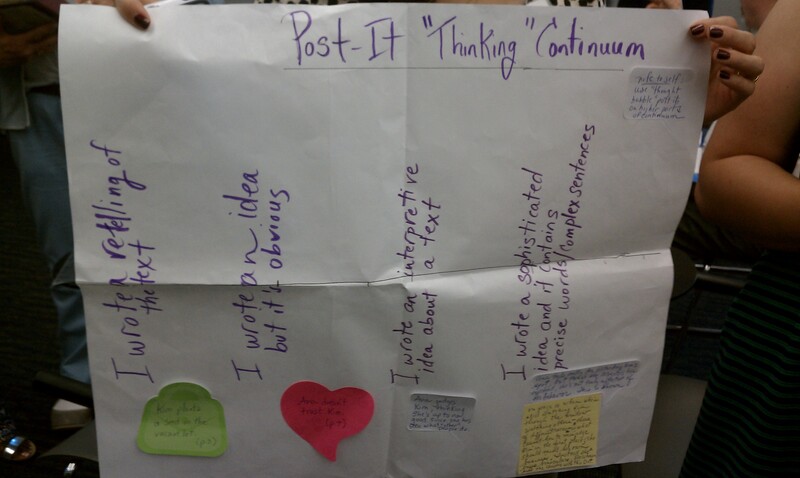 It was a great example that pushed our thinking about the possibilities for student learning. What reading skills do we want to emphasize? What note-taking skills (taught and/or used)? What are the student learning targets? What visuals should be included? 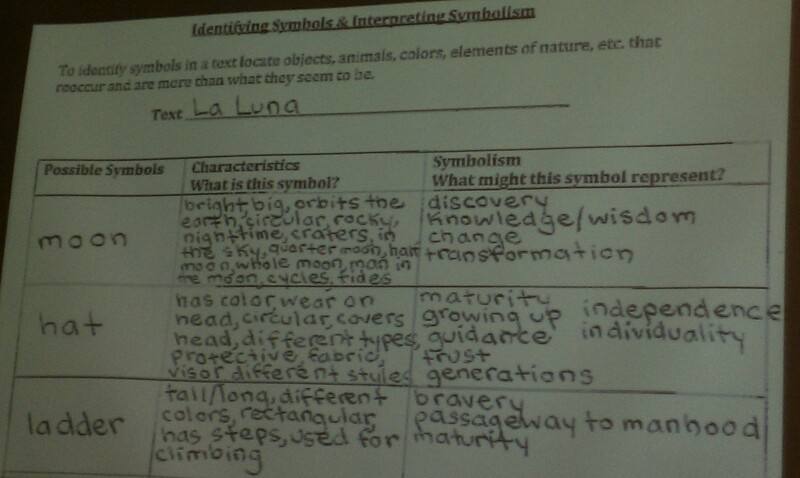 What partner materials need to be collected, organized, labeled and copied for students? Their presentation was really informative and provided many practical ways to plan for instruction in “understanding the craft of writing embedded and discoverable through reading! Check out their blog here and their book as well for tons more information! Our friend from Canada, David Booth, knows that there is a serious problem surrounding boys reading “girl books.” He works with students, parents, and schools in order to have them understand that the digital age is here whether we like it or not. Loved the pictures and stories about his granddaughter as well as the fact that he “poked fun” at himself and his technological capacities! Great speaker! What was on your learning list for today? Did you attend the 7:30 pm #TCRWP Twitter Chat with @clemenkat? I can’t say enough about how nice the weather has been the last ten days in New York City. I am saying it quietly as I know it is going to change, but it has been such a contrast to last year’s triple digit, steaming hot days! Why does the temperature outside matter? Well sometimes, in buildings gently aging, the temperature really varies and boiling temperatures do make it more difficult to stay focused and continue learning. But enough with the weather and on with the show, . . . er the review! 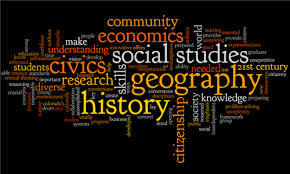 Do you view social studies through this lens? Or does this lens match your view of Social Studies? Are you now thinking Social Studies is “kinda, sorta” both of those? The minute I heard about the content area work done around centers last year at TCRWP (Teachers College Reading and Writing Project), I was interested. The use of Social Studies content to increase reading and writing has always been intriguing to me. I love social studies. Stories in the past? Who doesn’t like stories? And what a fun way to learn about the past – from stories. And I am not just talking about school-aged children here either. Now that pediatricians are recommending parents read to infants, I will also be consciously connecting more early literature contexts when available like this NAEYC list of recommended social studies books for youngsters age three and above. This week I have daily sessions with Kathleen Tolan (@KathleenMTolan) during the Advanced Reading sessions at the July Reading Institute. Today was day two at the institute and we spent more than half our time working at centers. We are the students. We are doing the work. We are not teaching (YET). We are learning by being the students. “Welcome to the compare and contrast center! In this center you will be reading, talking, note taking, and comparing and contrasting the colonies. 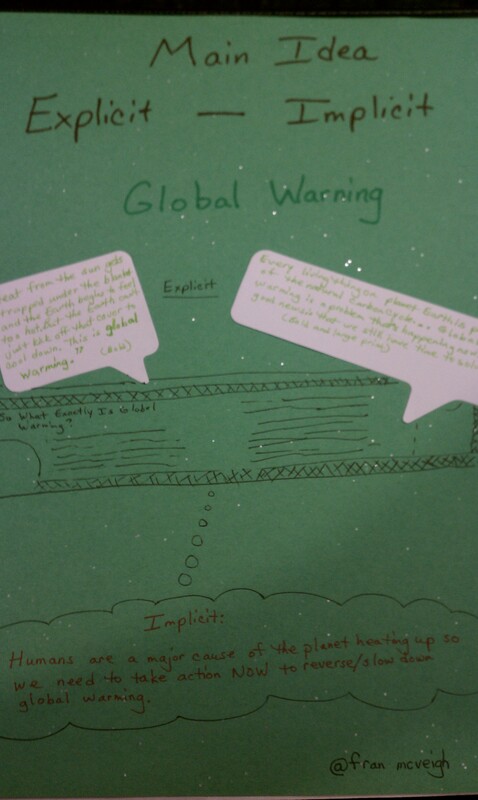 Talk with your group about what you are learning: use text evidence. If you were to restate that task, or turn and tell the gist to your partner, what would you say? Does this task feel like an assignment? Does it feel like there is only one answer? We have had some instruction in the form of lessons and demonstrations. We have a page of thinking prompts for making comparisons and explaining differences that was included in the center packet. But we do not have a suggested “product” for this “reading” task. We know that we need evidence so we are jotting notes and using quotes as a part of our evidence. We have five books about different colonies. Not all books are from the same publisher so not all have the same exact Table of Contents. The good news is that when we “perused” the books, one of our group members noted the similarity of four of the books and asked everyone else if the Table of Contents was similar. We were happy to find that common ground to begin our compare/contrast work. Do you have content area centers for reading (input of information)? If yes, do the task cards sound open-ended like these? If not, why don’t you have centers? What are you waiting for? Show and Teach: We walked around the room and played / shared our video, song, poem, or text. These included: Finding Nemo, Big Yellow Taxi by Joni Mitchel and also by Counting Crows, Adidas ad for world soccer, McDonald’s ad for World Soccer, and Oh, the Places You’ll Go for starters! Then we did a close reading of “Mr. Entwhistle” where there is a lot of envisioning to do because the characters actions and words are contradictory. This was also part of a longer discussion explanation of how to use Read Aloud Jots to raise the level of jots for reading response about theories of characters. scaffolding provided by the text features. This session repeats on Tuesday afternoon – consider attending! Does your reader’s notebook need some serious attention. Are you wondering what you should really be having the students “do” with their readers’ notebooks. Then you should definitely attend Stacey’s session on Tuesday. It will be packed full of ideas that you can use in your classroom and for your readers’ notebooks! the care taken with written pages by 8th grade students! There is this aura of effortless beauty that surrounds Mary Ehrenworth’s presentation style and today’s closing in Cowin Auditorium was not an exception. She presented information about reading workshop efforts that have been transformative and have grown out of Think Tank work. character / setting – A. The airport is not a good place for this boy to live. theme – A. Overall the most important thing to remember, when times are tough, is that all you need is love! B. Overall the most important thing to remember, when times are rough, is that all you need is hope! author’s craft – A. Overall, in developing the airport setting in this story, images are more important. B. Overall, in developing the airport setting in this story, words are more important. This keynote FLEW and yet we had come so far! The point was/ is not about winning the argument. 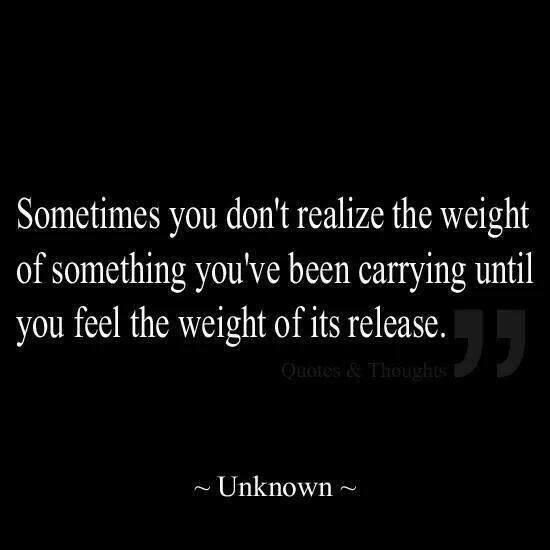 Instead the point is to be able to think, sort and sift through information quickly. More information about debate and Mary’s Closing Workshop during reading last week is here. A second amazing day of learning . . . It was a Sunday and 5:03 am. Just like a kid getting ready for an adventure, I couldn’t sleep any longer. What to do? The registration doors don’t open until 7:30. That would be 147 minutes of “me” time. My choice. My decision. How do I decide? 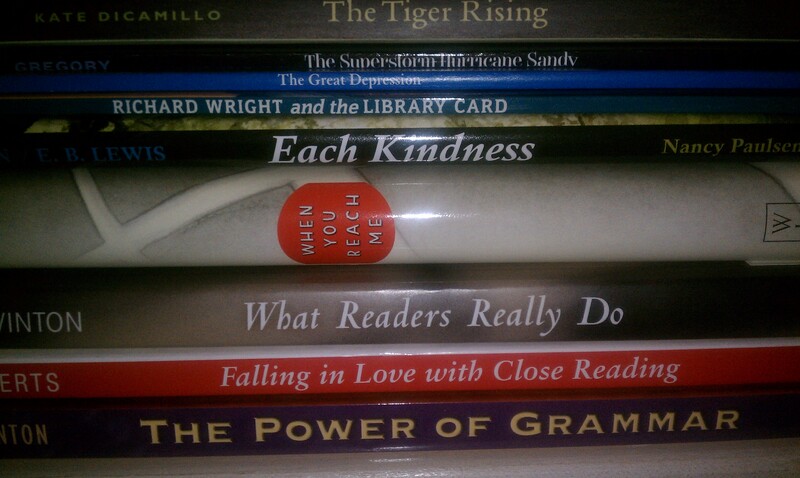 These are my “turn the page choices” but I have others on my Kindle that I can also choose from. Here are just a few snapshots from Sunday, June 29, 2014. The July 2014 Reading Institute began today with registration at 7:30 and then Lucy Calkins’ kickoff keynote. Who are we? The 1300 of us represent 41 countries and 46 states as Teachers, professors, editors, authors, superintendents, and coaches. Lucy quickly had us reading two coming of age works, a poem and a song, before she began to talk about how to lift the level of our teaching. I have followed Brooke for quite awhile; however, on Twitter I had missed how funny she is. “Just add children” was one of the first quotes that I loved. The learning from this section is going to be helpful for me in multiple buildings this year. It was comforting to hear many of my beliefs affirmed, but it was also great to be working with song and video to “do close reading.” We worked as a group of three teachers to read through lenses, use lenses to find patterns, and used patterns to develop a new understanding of the text including authorial intent. Over lunch Julieanne (@jarhartz) and I hung out in Everett Lounge for the Twitter Meet Up. Thanks, new followers and previous followers as well. It is always fun to meet Twitter friends in real life (f2f). Today was the only day that K-8 attendees had the same lunch so Rebecca Cronin was working on signing up more Twitter peeps. Do note that the Trail Guide lists a session for Twitter newbies on Monday, June 30 in Millbank Chapel (1st floor, Zankel) entitled “Twitter is Your PD Friend: Ways to Use Social Media to Enhance Your Learning” with Amanda Hartman and Rebecca Cronin. Kathleen covered a great deal of information about why and how to use centers during social studies (or science) as another way for students to read more across the day and access text chosen carefully for its content AND the reading skills included. My biggest “aha” was that reading workshop DURING social studies could provide a second time for reading workshop during the day. Keeping it simple and manageable would be one goal so you as a teacher would begin only with the number of centers that matched the number of teachers teaching the content. Math Alert: So if only two teachers are working together, you would each be creating one center for two total. 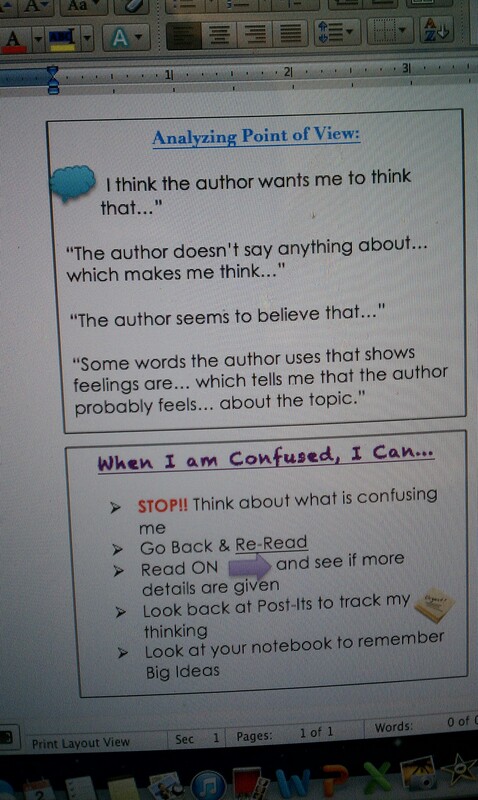 (Tricky part) But then you could have multiple copies of the same center so that ALL students are using those centers. This might be a way to consider beginning your center work. What would this look like? My example: 24 students in the class. Put students in groups of 4. There are 6 groups total. (Knowing that some center work is done independently, other as partners, and still other as a small group.) The two centers are: “Life in the Colonies” and “Where Did They Come From?” Three groups would work on the “Life in the Colonies” centers and three groups would work on the “Where Did They Come From?” centers. So if I made the “Life in the Colonies” center, I would need to have 3 different sets of the same center. If Suzie made the 3 different “Where Did They Come From?” centers, Suzie would make 3 different copies of the exact same center. What a great use of time! Reading, learning content material, and completing tasks while talking and writing a wee bit as well! It was truly a pleasure to hear Amanda Hartman on the topic of, “A Session for Literacy Coaches: Staff Development Methods that Are As Essential to Professional Development as Mini-lessons and Conferring Are to Classroom Teachers.” Amanda shared many tips that were also tweeted out earlier today about the value of “voice over” and lenses or inquiry that might be considered for study. This is hard work but it is the right work and must be done by Teachers in order to set up a community of practice that will be successful. Not perfect. Theme for today: A community of practice will help you make the changes you need as a reader and as a teacher of readers; don’t delay, begin NOW! What did you learn about reading today? Who will you share your learning with? What will you do differently as a result of your learning? And circling back around, what did I read this morning? This is what kindness does, Ms. Albert said. Each little thing we do goes out, like a ripple, into the world. 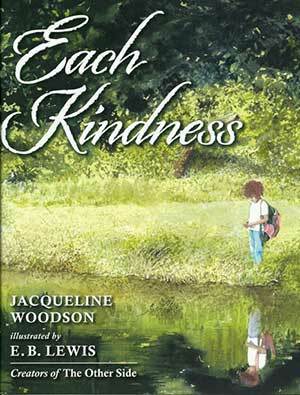 Check out Jacqueline Woodson’s site here for additional information about this book and others. The last three months have seemed like a year. Why? I was waiting to hear about the status of my application for the Teachers College Reading and Writing Project’s June Writing Institute and July Reading Institute. It seemed like “forever” since I saw the first tweet that said “…accepted!” Multiple friends received news of their status. My reading application status was “wait list” so I tried to be patient and believe that “no news is good news!” Finally I received notice that I was accepted for the Writing Institute. And last week my reading application was accepted! Two weeks at Teachers College Reading and Writing Project! Woohoo! After my application was accepted I realized the truth of this statement. Institute paid. Housing paid. Flight booked. Checking time frames. 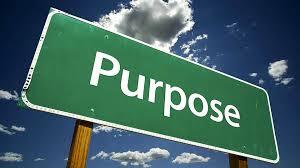 . . Planning to maximize time and learning opportunities. Why is this blog worthy? My two weeks at Teachers College last summer for the Reading and Writing Institutes was one of the most fabulous learning experiences of my life! With the new writing Units of Study, my large group sessions every day were led by Lucy Calkins. She can build confidence and inspire all teachers to “do more” to increase the reading and writing of students. 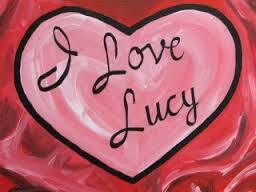 Anything and everything is possible with Lucy’s guidance! And the many rock stars at #TCRWP. . . My daily choices included Mary Ehrenworth, Chris Lehman and Kate Roberts. It was so fun to “know” many of the staff and presenters because of their “Twitter presence” and so easy to thank them for their accessibility! Unbelievable learning. And yet, I have to confess, I was ready to go home last year when the first night’s assignment was to write a narrative. I spent hours (some whining and complaining) writing, drafting, rewriting, drafting. It was not pretty and basically fit the third grade rubric according to the #UoS rubric. Frustrating, yes; empathy for students, YES! I am so ready to learn more. Do more. 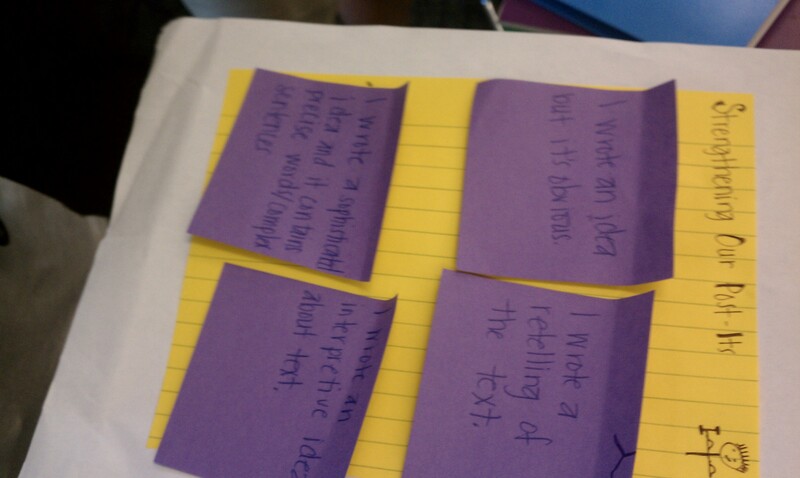 And I have been working on developing my own writing muscles this year – blogging, tweeting, and developing models. June Writing Institute! July Reading Institute! Love Learning! How will you continue to learn about reading and writing this summer?